One of the best delay pedals. Jet City Amplification set out to create the most affordable and best sounding delay on the planet, and this was the result. Introducing The Flood Delay. Its a straight-forward stomp-box with the controls you need, in a layout thats easy to tweak on the fly. 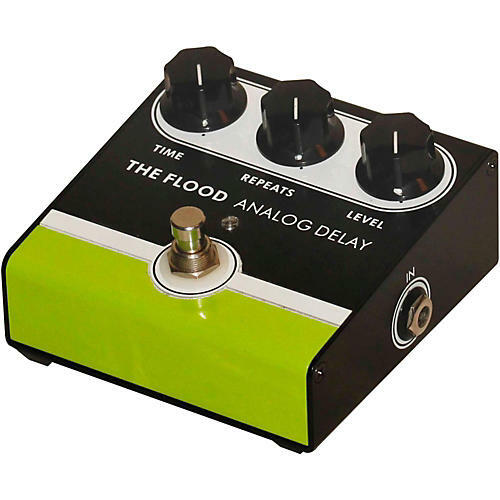 With 550 milliseconds of delay at your disposal, you can take the Flood anywhere from a simple slap back delay to a full-on swirling chaos of noise and everywhere in between. The circuit includes a PT2399 chip with 571N compander and TL072CN op amp.